Family and friends are what makes Christmas what it is but hosting them can be a little stressful at times! As Christmas beckons, households across the nation are preparing to welcome their beloved friends and family into their homes for the festive celebrations. But as many of us well know, inviting guests to stay can be testing! Luckily, high street retailer Robert Dyas has come up with a handy house guest survival guide, so you can host guests without compromising your sanity. 1. Confirm visitor dates and number of guests well in advance to avoid a last-minute panic. 2. It is essential to ensure that guest departure dates are quite specific. Do not give your visitors any opportunity to outstay their welcome if this is inconvenient to you! 3. Prepare a list of all guest room requirements such as extra bedding, spare towels or an air bed (£46.99, online only). 4. Avoid mess by making space for their belongings with foldable furniture you can pack away after use. The Halea 3-Tier Shelving Unit (£99.99) is nice and compact, and comes fully assembled to save you any hassle. 5. Provide enough seating. 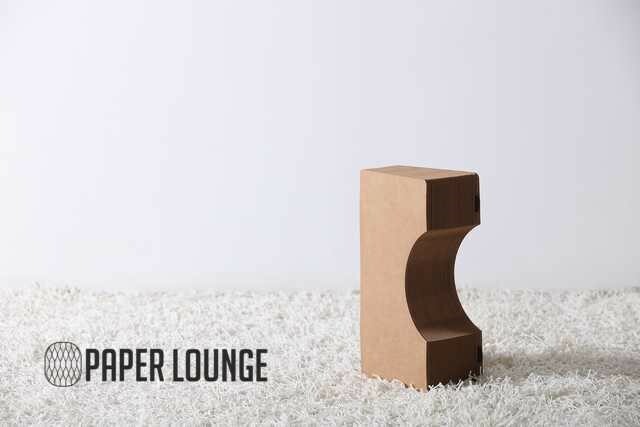 If you’re short on space, a Paper Lounge Recycled Paper Stool (£22.99, available online and in selected stores) or bench (£84.99, available online and in selected stores) is ideal — they fold right down after use to a fraction of the size, and hold up to 100kg or 200kg of weight respectively. If you’d rather provide something a bit cosier, a Kaikoo Bean Bag (£16.99) is a great idea. 6. Check you have sufficient homeware for any additional catering that might be required such as a heated buffet server (£49.99, available online and in selected stores), or a mulled wine urn (£44.99, available online and in selected stores) for festive drinks. 7. Check any special dietary requirements with your guests, their favourite breakfasts and drinks. 8. Jot down a meal plan so you’re not stuck for what to make each day, and buy all your ingredients well in advance if possible to avoid the Christmas rush. You may find you need extra cooking space, in which case an extra hob, like the Russell Hobbs Mini Electric Hob (£34.99), would be a godsend, as would a kitchen trolley (£59.99) for additional storage and workspace. 9. Ask if they have any plans or things they want to do while they’re here — there’s no point planning meals and entertainment if they’ll be out for the day. 10. Keep meals simple. Aside from Christmas Day, cook up easy meals that don’t require too much effort, like stews made in a slow cooker (£24.99) or hearty soups whizzed up quickly in a soup maker (£39.99). 11. 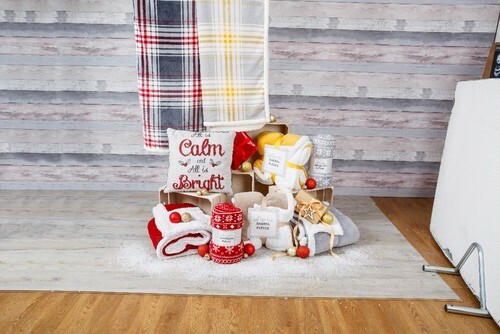 Create a warm and welcoming guest room with cosy blankets and cushions, like the Luxurious Snowflake Fleece Throw (£12.49) and All is Calm Cushion (£7.49, available online and in selected stores). 12. 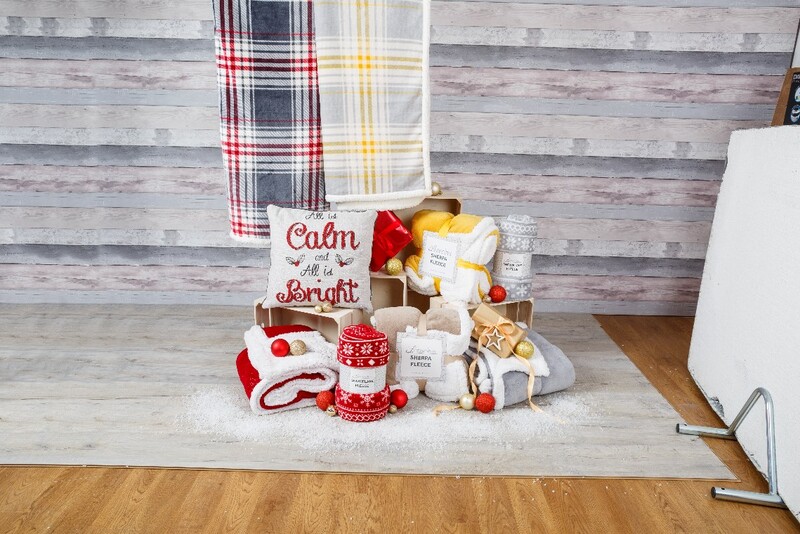 Add some thoughtful finishing touches if your budget allows, such as pretty string lights (£7.99) or an exquisite lit wreath (£19.99) to create a cosy glow. 13. A fuss-free, pre-lit Christmas tree (£39.99) could save you precious time at this busy time of year. 14. Lay out some ground rules and let guests know of any household routines (when you or your baby usually go to bed, or that your pet likes to be let out at a certain time, for example). 15. Keep the WiFi password in a prominent place. 16. Provide an extension lead (£6.99) if you’re short on plug sockets so your guests won’t be charging their phone when you want to use the socket. 17. If young children are coming to stay, stash any breakable items away to avoid any accidents. 18. Insist that basic house rules are followed such as removing shoes at the door, playing music at a tolerable volume and definitely no Christmas carols after 10:00pm regardless of how much mulled wine has been consumed. 19. Some simple entertainment in the form of a board game is a good way of passing the time, such as Very British Problems (£22.99, available online and in selected stores), but don’t feel pressured to entertain non-stop. Enjoy some quality ‘me’ time too — you’ve earned it. 20. 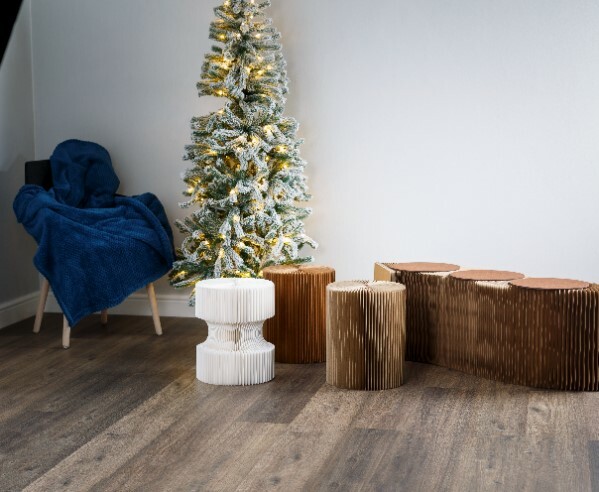 Most importantly, sit back, relax and enjoy this wonderful time of the year with your loved ones. This press release was distributed by ResponseSource Press Release Wire on behalf of Robert Dyas in the following categories: Children & Teenagers, Men's Interest, Entertainment & Arts, Leisure & Hobbies, Home & Garden, Women's Interest & Beauty, Consumer Technology, Food & Drink, Travel, Media & Marketing, Retail & Fashion, for more information visit https://pressreleasewire.responsesource.com/about.